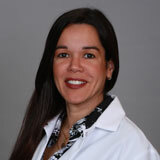 Maria Balda, DDS, provides general dentistry services to patients starting at age 6. She provides preventive, restorative, and cosmetic dental services including exams, fillings, crowns, crown lengthening, bridges, dentures, extractions, root canal retreatment, veneers, and teeth whitening. Plus, her office strives to accommodate same-day emergency dental appointments. Dr. Balda has been a practicing dentist since 1994. She earned her dental degrees at the Universidad Central de Venezuela and the University of Florida College of Dentistry. Her undergraduate degree is from Colegio Santa Rosa de Lima in Caracas. Dr. Balda is a member of the American Dental Association, Florida Dental Association, and National Dental Association and is fluent in English and Spanish.